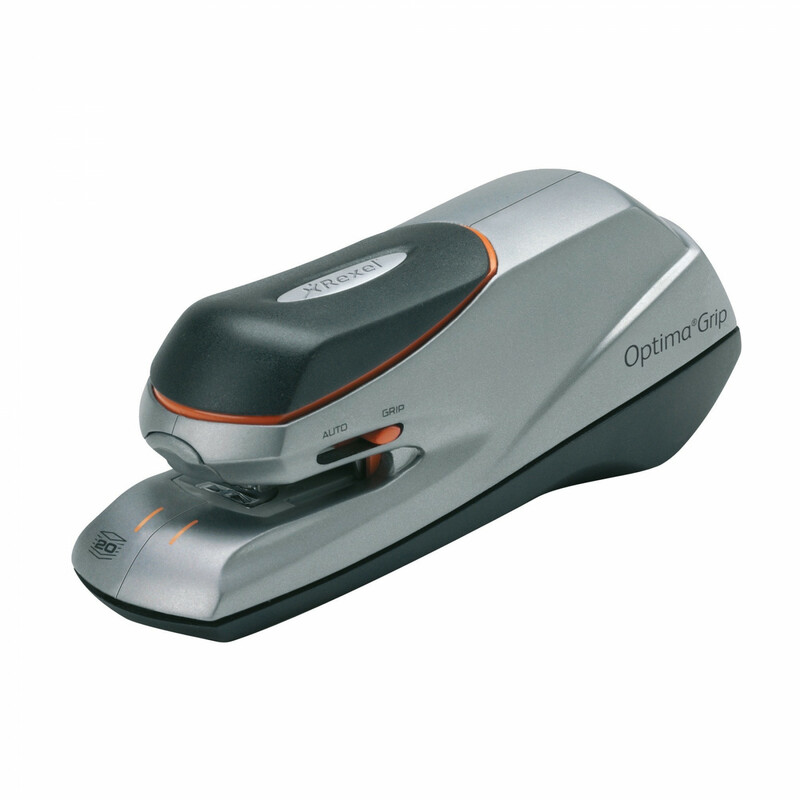 Jam-free stapling of up to 20 sheets with Optima® No.56 Premium Staples (2102496). Compact handheld design for manual or automatic stapling. Built-in paper stack height gauge and staple placement guides. Convenient plug-in or battery operation.